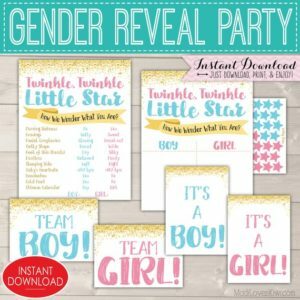 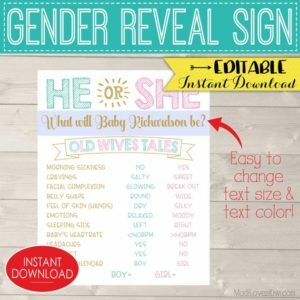 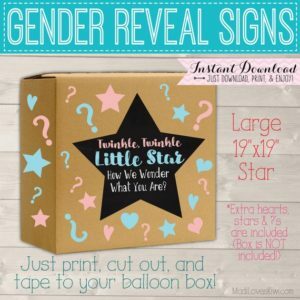 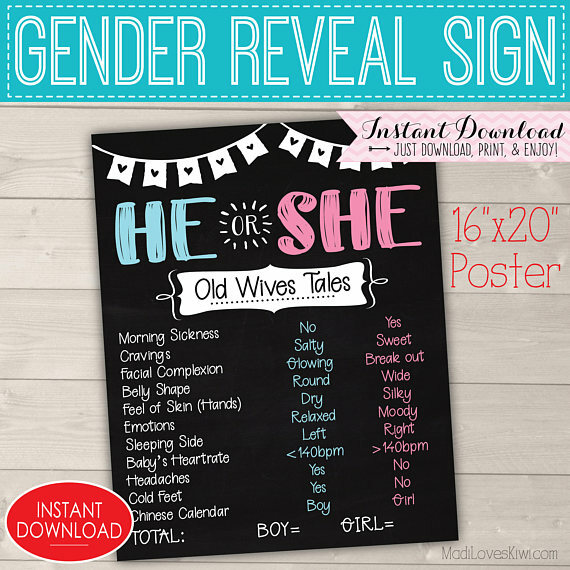 This “He or She” Old Wives Tale Poster will be a huge hit at your gender reveal party! 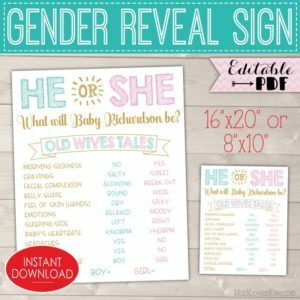 Just print, circle the answers, and tally up the scores. 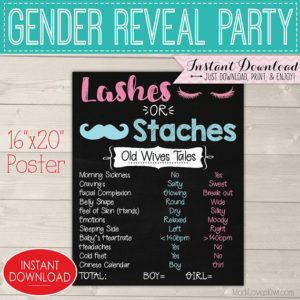 This poster was right for my babies and maybe it will be for you too! 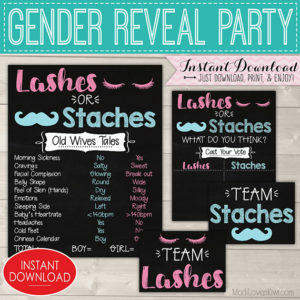 Either way, it’s just a fun idea for your party!